Our approach is simple. We want you to be happy. We are eager to assist you in creating a ceremony that is fit to you and your beliefs. Although the basis of our officiating services is non religious we can customize your ceremony by tailoring religious readings or spiritual readings into the script to fit your needs. We have many officiants including a diverse staff of both men and women. Do you need ceremony music? We work very closely with an award winning and experienced local live sound company that can provide music, microphones, and a sound tech to help in ceremony coordination. We also are very familiar with many of the local stringed instrument groups, and can work with them to provide music for your ceremony. Each ceremony will also come with a ceremony timeline which can be used for your rehearsal if you are not utilizing our ceremony coordination services. We also offer elopement services as an alternative to a court house civil ceremony. Skip the line on the court room wedding and choose a simple yet elegant Weddingly elopement package. 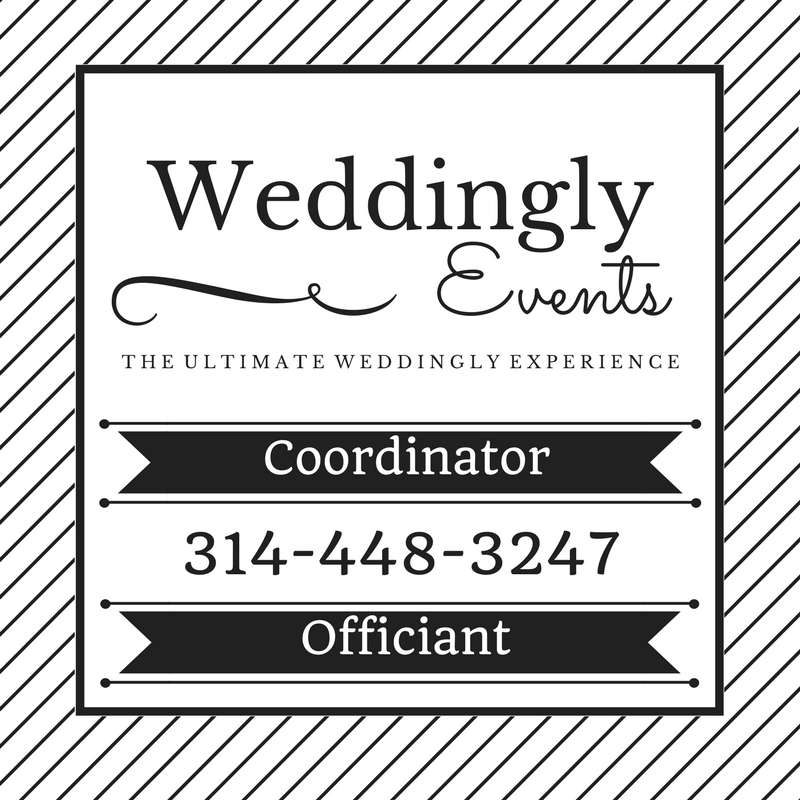 Discounted rates for elopements done in Maplewood, MO! Need an Officiant? Contact us now!